Both these machine have the same spec but run at different speeds. Setting New Standards. Lantech has always stood for cutting edge innovation and our TE-Series tray erectors continue that tradition. We've set new standards for productivity and efficiency in tray erecting applications. 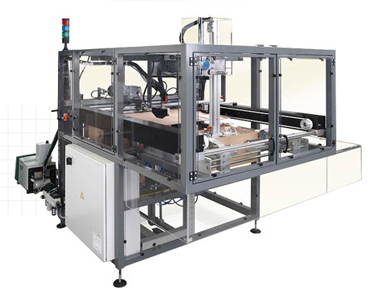 If you want to automate the process of erecting trays or want to simply upgrade or replace older equipment, you'll want to take a look at the many advantages we offer for your operation. Detection blank magazine almost empty Complete detection.